Why Did My Dental Practice Website Disappear from Google? If so, you are not alone. When we talk to dentists who are considering upgrading to the Smile Marketing website service, we hear this quite a bit. Unfortunately, countless business owners have paid SEO consultants a lot of money for aggressive SEO campaigns that have backfired. Have you ever heard the terms white hat and black hat? These terms are commonly used to describe the different tactics used in the SEO world. Understanding them could help you avoid Google penalties, or keep your practice site from being penalized again. Black hat tactics are SEO methods that are questionable, not on the up-and-up. Simply put, they are tactics used strictly to dupe the search engines. As the search engines continue to get smarter and smarter, they penalize websites using these methods, which means a website could go from dominating page 1 of the search results to not showing up on the first 10 pages…overnight. White hat SEO, on the other hand, is the use of optimization strategies that are geared toward a human audience, focused on making the user experience as good as possible. There are no tricks involved, no hidden agendas. And most importantly, nothing that goes against Google’s policies. Is your website lost for all eternity if it’s been penalized? Not necessarily. You can invest more time and money in “link pruning”- the process of undoing all of the bad links that caused the penalty. If there are just a handful of bad links, no sweat. If there are hundreds, as is often the case, this could be an intensive process. Depending on the extent of the damage done to your website, you may decide it’s best to start fresh with a new domain name. The most important thing to do once you recover from a penalty is to make sure it never happens again. That means working with a company that only uses white hat methods and doesn’t promise speedy rankings climbs through unnatural link building tactics. If a company guarantees they can get you to rank in a certain position in a short amount of time…run! They may not have your long-term best interest at heart. 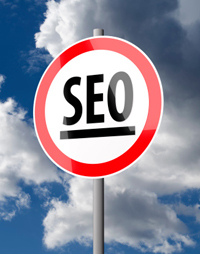 Learn more about Smile Marketing’s SEO philosophy and how we determine dental SEO success. For easy-to-implement strategies to improve your online presence, download our free eBook: 10 Ways to Get New Patients from the Internet.